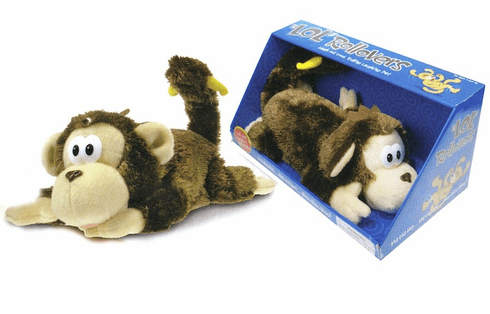 You can't help but laugh along with this LOL Rollover Monkey. It rolls around back and forth on the floor laughing hysterically. Get them laughing with a wave of your hand (motion activated). Uses 3 "AA" size batteries (not included). For ages 5 and Up.